Since its founding in 2007, Whitetail Properties Real Estate LLC has worked hard to distinguish itself as the premier land brokerage in the nation. Over the last decade, the company has experienced continued growth in sales, transactions and national footprint. Now operating in 26 states with nearly 300 agents and support staff, Whitetail Properties achieved a significant milestone in 2018. $1.15 billion in sales. “Back when we started Whitetail Properties, my partners and I always talked about when we break a billion dollars in gross sales. We never questioned if we would break a billion dollars in gross sales. I believe achieving that lofty goal was crystal clear to us. We knew that if we served our clients during and after the sale better than any other real estate company has ever served them, each satisfied customer would influence many other potential buyers and sellers. Hence, this proliferation, combined with building a very strong national brand and hiring honorable employees and agents who are also professional in their dealings and passionate about land, made it possible for us to exceed a Billion dollars in land sales in 2018! !”, said Dan Perez Whitetail Properties CEO. Whitetail Properties Real Estate was created for the sole purpose of bringing together buyers and sellers of hunting, farm, ranch and timberland. Their more than 220 agents are not your ordinary real estate agents; they are Land Specialists. They have a passion for wildlife and rural land management and strive to provide unparalleled land buying or selling experiences for their clients. Their knowledge and expertise extend beyond hunting and recreational land. Whitetail Properties also specializes in farmland, timberland, waterfront properties, ranches, and mineral rights. 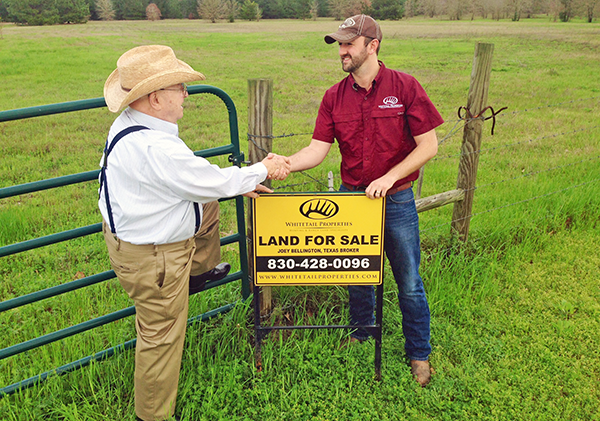 Whitetail Properties Real Estate, LLC takes a unique approach in the market place to help their clients maximize the value of their land. 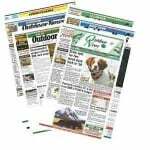 Through an extensive marketing campaign utilizing online, TV, and print advertising, they are able to reach buyers across the nation. This marketing strategy has created a nationwide network of potential buyers and investors. Whitetail Properties TV, airing on the Sportsman Channel, reaches 36 million households in the U.S. Each episode highlights the land and habitat management knowledge and experience of Whitetail Properties Land Specialists, as well as, currently listed properties for sale. For more information on Whitetail Properties Real Estate or contact your local Land Specialist, visit whitetailproperties.com.